Mumbai : When it comes to kids making a mark on social media, Mahendra Singh Dhoni's daughter Ziva always turns out to be a superstar. As the world celebrates Christmas, Ziva is in the celebration mode too. Her video of singing , ‘we wish you a Merry Christmas’, in a video with Dhoni besides her has gone viral. 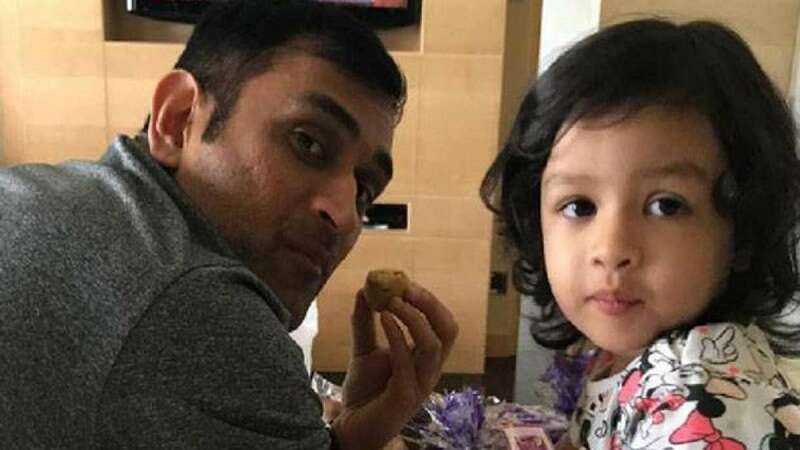 After finishing off Sri Lanka series in style, Mahendra Singh Dhoni took out some time to spend with his daughter Ziva. Recently, a video of Ziva singing a popular Malayalam song “Kanikanum Neram Kamalanethrante” had made headlines and now she singing Christmas carol in the sweetest thing on the internet. With South Africa tour still a week away, Mahendra Singh Dhoni has few more days to spend quality time with his family. MS Dhoni, who is part of the ODI squad, will fly to South Africa in January. India’s T20I squad is yet to be announced and the wicketkeeper-batsman is very much likely to be part of that squad as well.